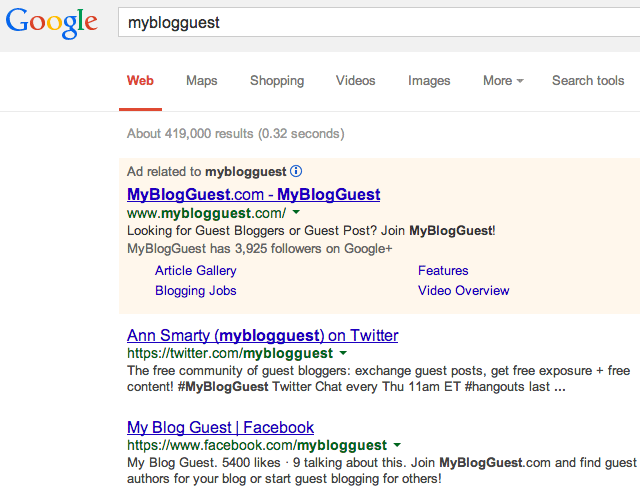 Google's Matt Cutts announced on Twitter at 2:13am EST that Google has taken action on a "large guest blog network." This time, Matt Cutts did not specifically say which network they targeted. Matt links to his post on his personal blog named The decay and fall of guest blogging for SEO. In January, Matt warned that guest blogging for SEO is dead, which caused a major stir in the community. Since then, many said guest blogging has continued to work and lead to great rankings. However, as you can see, today, Matt and Google went after a larger guest blogging network, which may result in lost rankings, penalties and unnatural link notifications. I have to assume that Google will continue to go after these networks. What if you just do occasional guest blogging? You should be fine but again, with the caveat that it is not done for SEO purposes. Personally, I hate guest blogging but I have the luxury at writing at two sites that have a large audience already. If you dig deeper, you can see that Ann Smarty, who is the owner of this service, made it clear in a blog post that they won't be nofollowing those links despite what Matt Cutts suggested in January of this year. I guess that hard stance caught Google's attention and this is the end result? Again, we do not have confirmation from Google that it was this network that was indeed hit. Update 2: Matt Cutts confirmed they may take action on the publishers who participated in the guest blog network. More details over here.